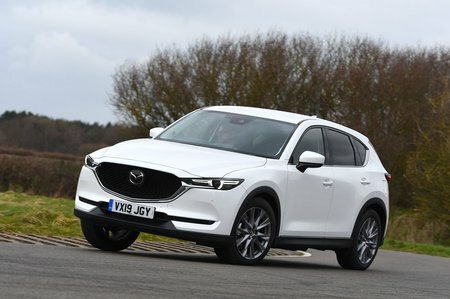 Mazda CX-5 2.2d  Sport Nav+ 5dr AWD [Safety Pack] 2019 Review | What Car? The range-topping 181bhp diesel (Skyactiv-D 184) is that bit stronger at the top of the rev range than the 148bhp version, but unless you’ve got the car packed to the brim with people and luggage, the difference isn't that noticeable. That's partly because this more powerful diesel is available only with four-wheel drive, which adds a fair bit of weight.